White Light is needed to guide Martine’s pennant all the way home! 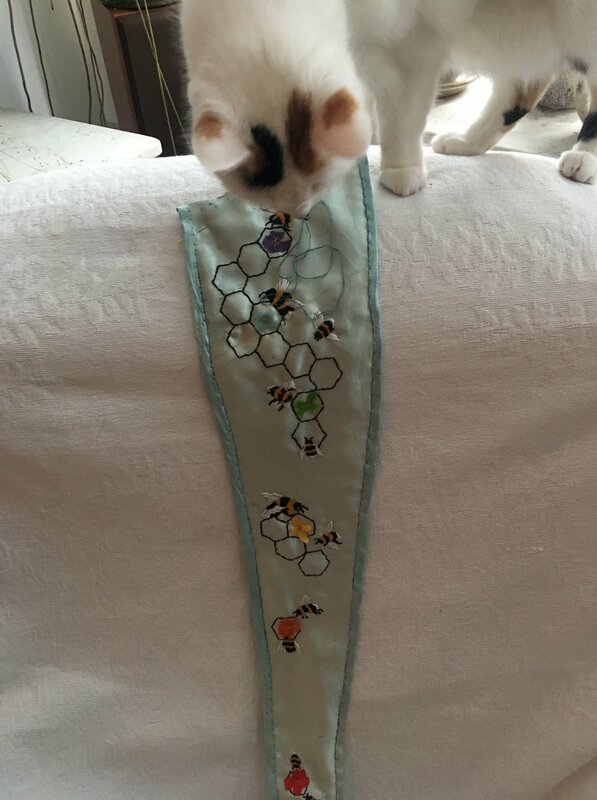 This beautiful pennant from Martine Bos needs White Light to help guide it’s way home, it was mailed from The Netherlands on October 26th and needs our help to get here! Mo……there’s so much love and magic around, this must help bringing my pennant back……..
(((Martine))) x fingers with all the white light and love surrounding your pennant the people at the Post Office will be wondering this morning why your parcel is glowing! I also beelieve this will arrive on your doorstep Mo; in good time to be included in the gathering. I had some silk from China held up at customs earlier in the year. Those little bees are just buzzing with love and need to be here. Love & Light thru the ether. (((Eliene))) with the help of the wings of those beautiful buzzing bees ! It can’t possibly be lost forever .. not with all our positive prayers and the gathering calling. But the waiting is hard ..
(((Tina))) beaming in those buzzing beautiful bees! I am joining with everyone in praying for the safe arrival of Martine’s pennant. The world has been shrinking in some ways, but in others the way is vast and long. I would love to see this beautiful pennant hanging with its sisters in Mo’s house. (((Dana))) x fingers very soon! Oh I do hope this amazing piece of cloth. love work arrives soon. Now I am worried mine will be delayed or land somewhere else. I will try to get it sent quick! 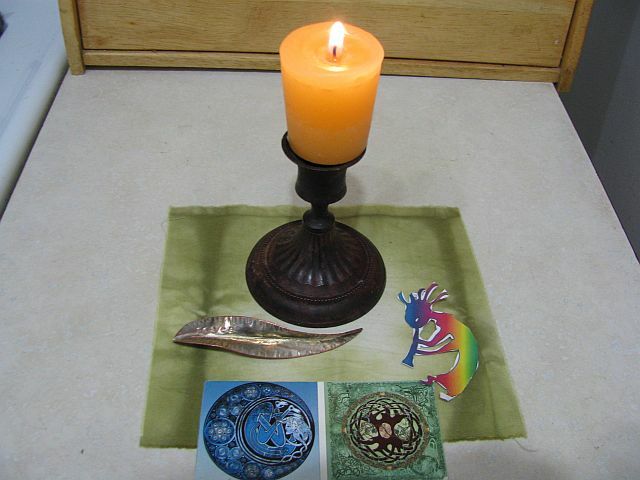 (((Nancy Sage Hawk))) white light & don’t worry, there’s still plenty of time, the pennants and talismans don’t need to be here til the end of the year! a talisman from Shona Wilson!